Do you have a cut or damaged hydraulic line? Top Hydraulics, Inc. manufactures a new, upgraded hydraulic line replacement for your cylinder. Please choose this option if Top Hydraulics has advised you that your hydraulic line needs to be replaced. 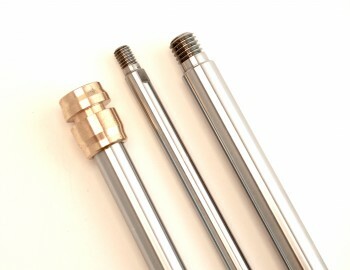 Top Hydraulics replaces the OEM hose material on your complete convertible top hose assembly with far superior material. 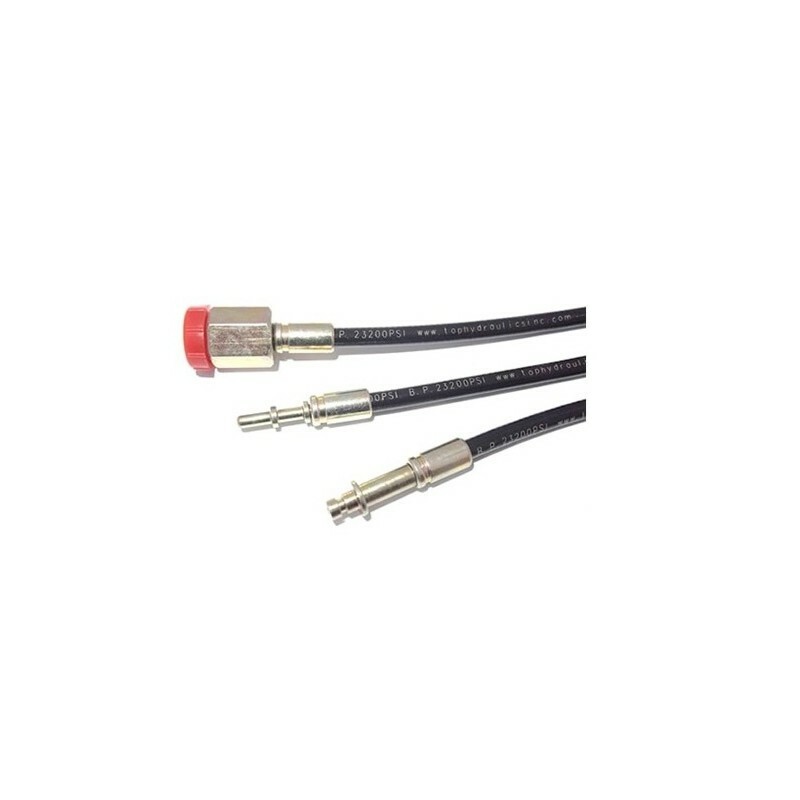 The OEM hoses are rated at an operating pressure of 3,000 psi; Top Hydraulics manufactures these hoses with a rated burst pressure rating of 23,200 psi. The outer diameter (OD) of the front hoses is smaller than that of the OEM hoses, and much smaller than that of brake hoses. 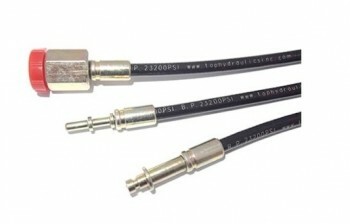 (Some small shops try to manufacture convertible top lines out of brake hoses with braided stainless jackets). The smaller OD makes the installation easier, while not posing any compromise in performance. The lines are clearly labeled on each end (telling you where they connect to), and they come with new o-rings if applicable. The hose material is sourced in Germany, the hoses are assembled in the US, and these hoses will not crumble apart like your original ones.